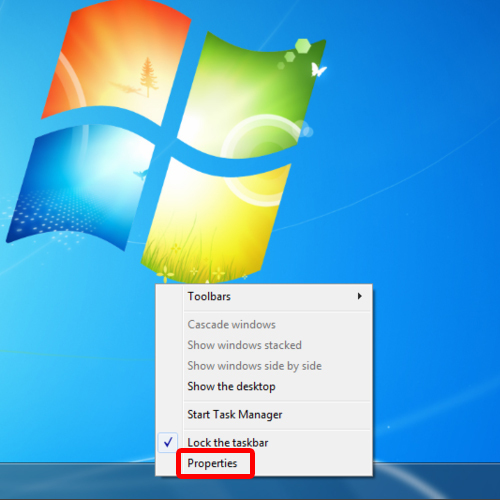 In this tutorial, we will show you how to disable recent items in Windows 7. The Recent Items folder allows you to find documents and files you used recently. Whatever directory you access, a shortcut of it is stored in the recent items. While this may be a useful option when you want to quickly access your recently opened documents on your text editor it could pose a privacy hazard if someone else gets to see what files have you accessed lately. For people who don’t want prying eyes seeing what they have been up to on the computer, recent items feature can be disabled. On the desktop on your bottom of the screen, you would see the taskbar in the form of a horizontal transparent strip with lots of icons. To disable recent documents, first of all, right click on the task bar where a drop down menu would appear. On the bottom of the menu, click on the properties tab. 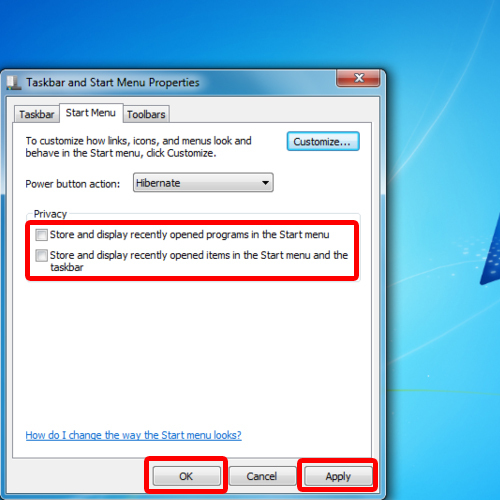 Once the “Taskbar and Start Menu Properties” window opens up, move over to the “Start Menu” tab. After which the “Taskbar and Start Menu Properties” window opens up in front of you. On the window you would see three tabs. Click on the “Start Menu “ tab that will be in the middle . From here, you will be able to disable recent documents. 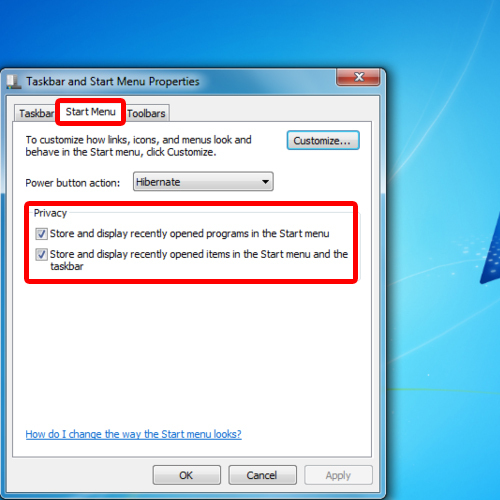 Over here, underneath the privacy section, uncheck both the “store and display recently opened programs in the start menu” and “store and display recently opened items in the start menu and the task bar” options. After unchecking the options press Ok and Apply after which User Access Control would appear on your screen to re-confirm the change. With that done, you will disable recent items in windows 7. Now whatever you access will not be stored there.